But why should the evolution stop there? Now that medical imaging is digital, we can achieve patient care better than ever. Image viewing is a faster, less cumbersome process than ever before, making it easier to get the full picture of a patient and provide better care. Yet, there is still a need for a more complete patient profile. Leveraging platforms of both digital images and patient information creates streamlined, accessible information and comprehensive patient profiles. 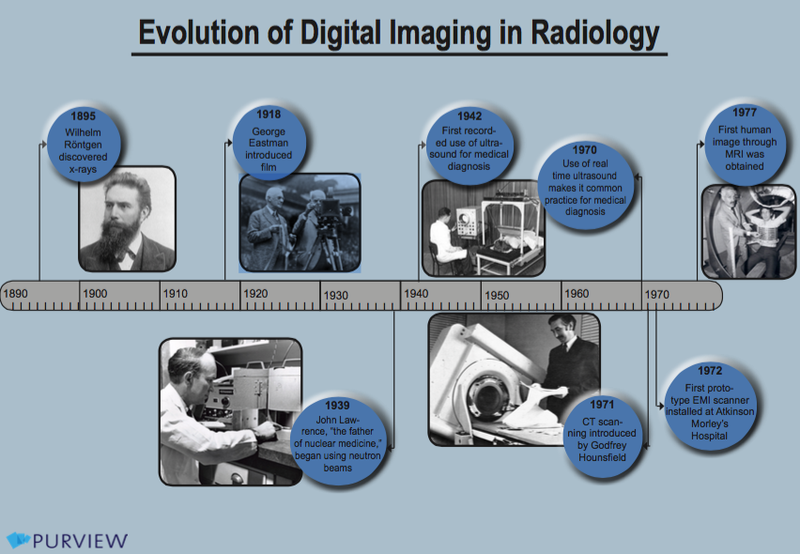 Check out this timeline to see the beginning of radiology, how it has evolved, and where it is going.